Can I just say, Disneyland Paris in November is freezing. Not as cold as we expected but layers, gloves and lots of tea was needed. 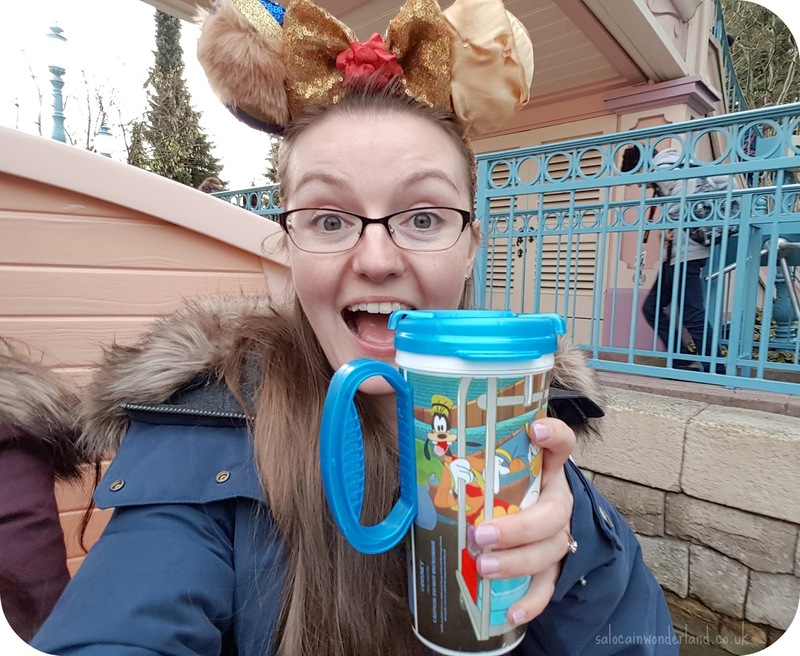 One major money saving tip we discovered was that any outlet within the parks that serves drinks will give you cups of hot or cold water for free! If you’ve known me for 5 minutes, you’ll know I can’t go long without a brew going down my neck, so I popped a box of green tea bags in my backpack and my Walt Disney World resort mug - both of which I had zero problems getting into the parks! Go on, thank me later. We didn’t quite make it for the extra magic hour that morning but we still managed to use a sneaky side entrance for resort guests that got us in a smidge quicker than the regular line. Honestly, nothing about DLP was how I remembered it from 15+ years ago! Everything felt so new and yes, when I turned that corner on Main Street USA and say that bloody beautiful Sleeping Beauty castle for what felt like the first time, I cried. Cried. Not even ashamed. GAH! Disney, how do you do this me? Selfies, boomarangs, more tears, we spent about 40 minutes just taking pictures at the castle and soaking up the atmosphere. DLP is such a beautiful park, the landscaping is ridiculously lush and it feels like there’s a lot more open space than at WDW. 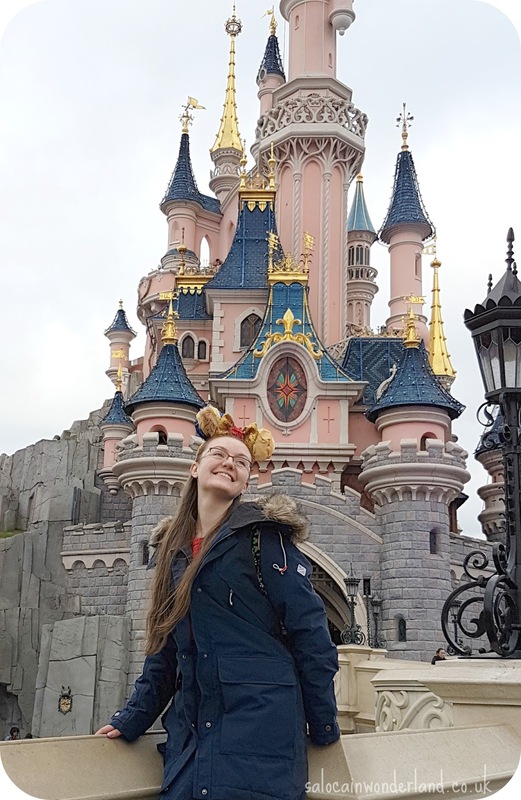 Going into the castle, seeing the tale of Sleeping Beauty told in stained glass, looking out across the park from the turrets, venturing down into the bowels of the castle to come face to face with Maleficent, trust me, you don’t need kids to enjoy this park! We grabbed a fastpass for Hyper Space Mountain, DLP still operate on the old paper-based FP system and it was like stepping back in time! Not going to lie, but I did miss my magic band! And you can only hold one FP at a time too, so a bit of a game plan was needed. Luckily, the park wasn’t too busy so ride queues weren’t too bad. Just walking through the park, it was brilliant. The atmosphere, the music, the space. It was surreal compared with years of trips to WDW. We hopped on and off a couple of rides before heading into one of the few places I could remember, Videopolis. Remember the free waters I talked about? Not everywhere gives you the same amount, and the ones they gave out here were in espresso sized cups - urgh. But a freebie is a freebie. So I made myself a brew, grabbed some snacks out my bag and got a warm on. FYI, one of us did buy a latte which came in about €4 and in the same teeny tiny cup! DLP is expensive! Hands down, the ride highlight of day one was Hyper Space Mountain. It’s an awesome indoors, dark roller coaster to begin with, but team that with Star Wars theaming and yup, I cried again! Whizzing through that entry tunnel to the iconic music, my inner Jedi was going wild! We headed back to Videopolis for lunch, my inner Jedi still buzzing, I grabbed the speciality Jedi burger meal (€15), a beef burger with chips, fountain drink and a ‘Yoda’ cupcake. DLP seems really hit and miss for me when it comes to park food, I remember it being a bit on the meh side all those years ago and it still doesn’t impress. Most of the food is your bog standard park fare, but needs must and it fills a gap! 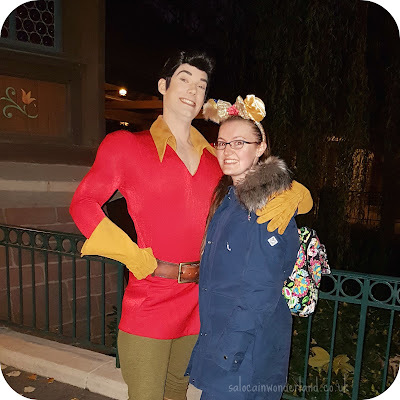 More giggles, more rides, being chatted up by Gaston, being terrified by a Cast Member at the Haunted Mansion, we finally called it an end to day one and headed back into the Disney Village. We grabbed tea in Vapiyanos, which was a chaotic experience but I filled my boots on a pretty scrumptious pizza and a few cheeky glasses of vino - hey, girls on tour and all that! 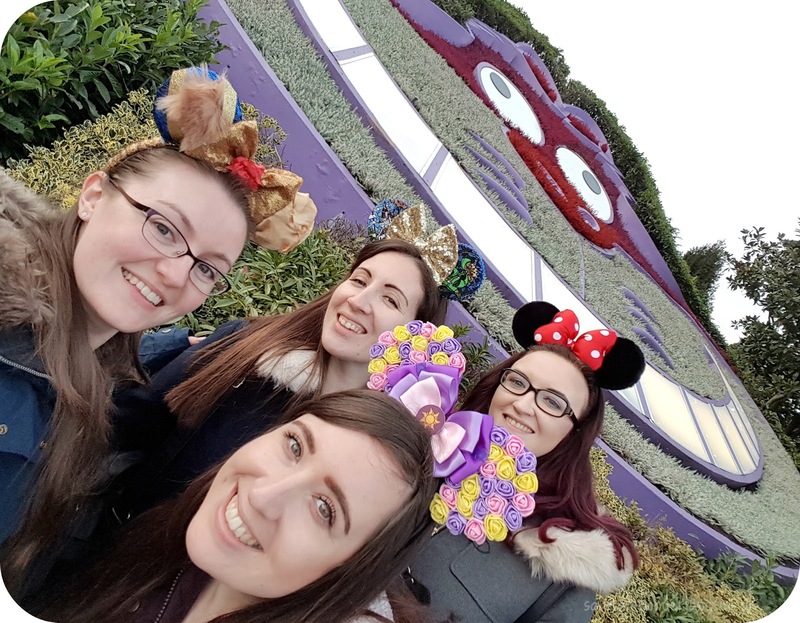 Before calling it a night we popped by Disney’s Hotel New York for a little wander and a visit to the hotel bar! 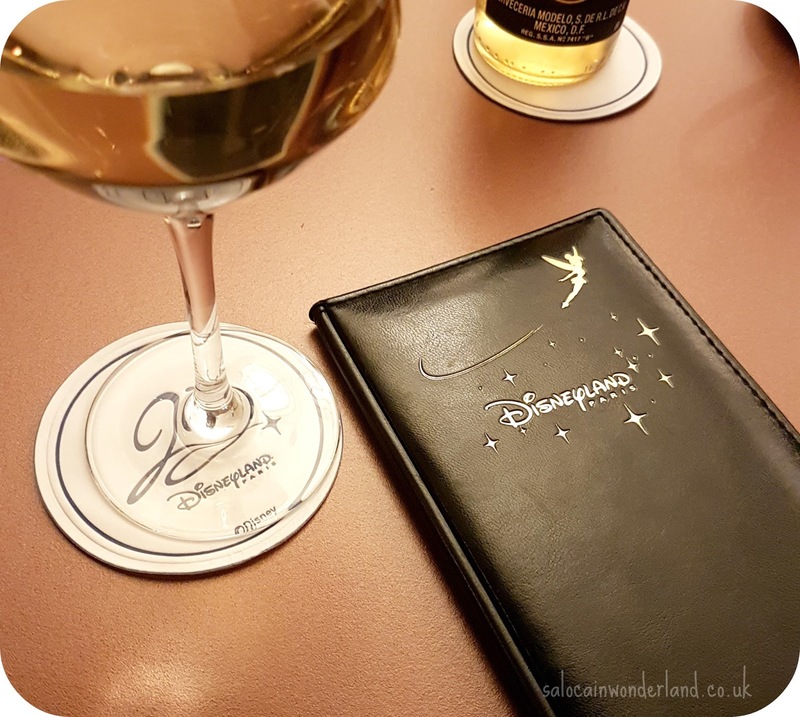 A large glass of house white comes in around €6 and was the perfect night cap on a very magical day one - and an instant tradition for the rest of the trip! Suffice to say we slept like Aurora herself! 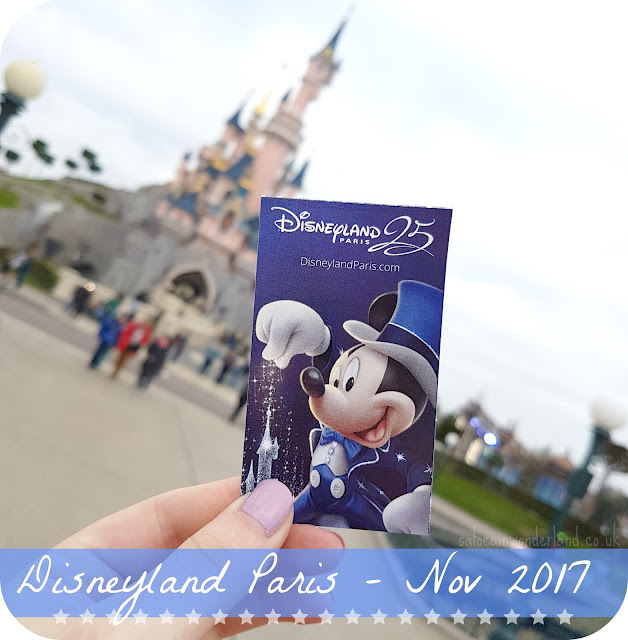 Do you have any first day traditions when visiting Disneyland Paris? 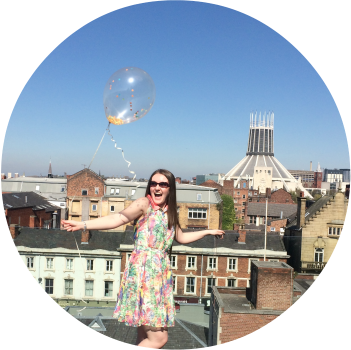 It sounds like you had an amazing day but I’m so shocked about the prices of the food/drinks! That’s crazy. I’d really love to take Eric to DLP one day. How old do you think you need to be to get something out of it? (I’ve only ever been once myself). Food and drink are NOT DLP's strong point that's for sure but there are a few ways to save your euros there! I'd say you'd be best taking him when he's around 5 - 6 years old! He will be old enough to not need as many naps/breaks in the day but young enough to experience the magic!